I’ve been dreaming about doing a lap around Oz in our caravan for some time however, it always remained just that…a dream. Not really sure when but it would be something that we will do one day. It wasn’t until I read an online article about a family who had travelled this amazing country that I realised I could turn my dream into a reality, all I needed to do was to set a date. Sounds easy right? Wrong. Coordinating time off work, the sale of property and decid...ing what year to pull my children out of school for twelve months is quite the task. And this was just the beginning of many decisions that would need to be made. But if a lap of Australia was going to be a reality I had to make the call, so I did it, I set a date! And all of a sudden things got real. 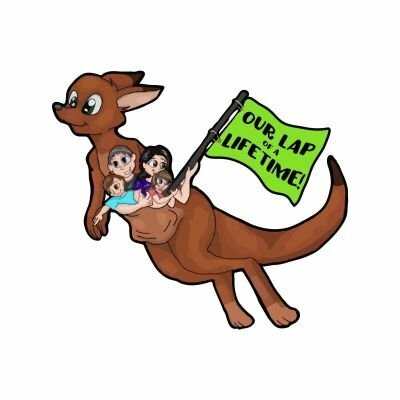 I proudly informed my husband that in 2019 we would take twelve months off work, pull the kids out of school and complete what I would consider our lap of a lifetime! But I knew we had our work cut out for us if we were to achieve this dream. You see, my husband (Doug) and I had recently relocated for work purposes and had left our empty house behind to do so. We moved into a rental property and soon realised we were never going to fulfil our dreams whilst ever our money was being eaten up by mortgages and rental properties. We also owned our caravan and were paying extravagant amounts of money on insurance for all three lots of accommodation. Our hard-earned money was disappearing quicker than we could earn it…money that would be better spent on our travels. We put the abandoned house on the market which surprisingly sold quite quickly. Together with the insurance, rates and water bills this put $1000 a fortnight back into our pockets. This then got me thinking… we still had two forms of accommodation and was only utilising one. We couldn’t sell the caravan, after all we needed it to do our lap, which brings me to my first photo below. It just so happened that the local showground needed a new caretaker! Timing = perfect! We handed in the keys to our rental property and managed to save ourselves a further $750 a fortnight in rental fees. We moved into our caravan and are currently living rent free in exchange for some caretaking duties. We find ourselves sitting around our camp fire of a night under a blanket of stars watching our ‘free range’ children roast marshmallows and have realised that what started out to be an opportunity to have financial freedom has quickly turned into a new way of living and has given us a new found sense of limitless possibility.... freedom! For the first time in my life I can honestly say I am happy, and we haven’t even started our lap yet!